Geekvape Illusion Sub Ohm Tank is an innovative tank with 24mm Diameter and 4.5ml e-juice huge capacity which can satisfy daily vaping. With i4 coil 0.5Ω, it can produce an ideal heating effect with large clouds and great vapor. 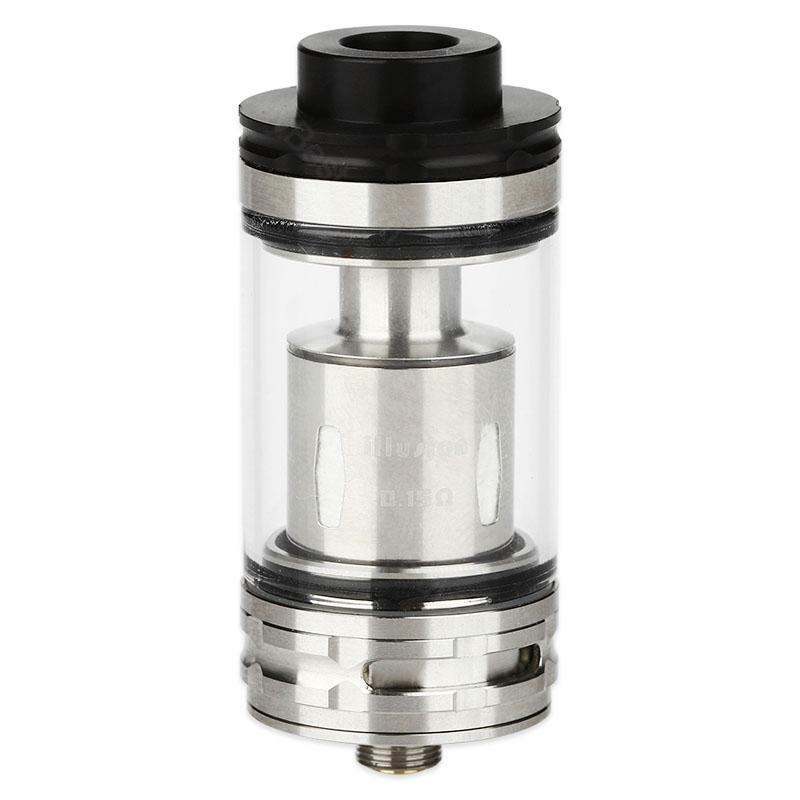 Geekvape Illusion tank, as the new type tank in Geekvape family, is an innovative tank with 24mm Diameter and 4.5ml e-juice huge capacity which can satisfy daily vaping. With i4 coil 0.5Ω, it can produce an ideal heating effect with large clouds and great vapor. Illusion Sub Ohm Tank is featured with adjustable airflow control, delrin wide bore drip tip and gold plated 510 thread, which can prevent leaking. If you strive for intense flavor and cloud vapor, Illusion Sub Ohm Tank by Geekvape is a must-have tank for you. • Geekvape Illusion Sub Ohm Tank doesn't come with liquid, you shall buy separately. • It comes with 510 thread, can work with most 510 threaded batteries. great pricing and consistent service moreover the shipping speed has gotten better with each reasonably priced options. Top Preis!Top Leistung. Sendung ok. Geschmack ok. Batterie ok. Sehr praktisch. Sehr hilfreich um rauchen zu aufhören. Gerne Geekvape Illusion zu weiterempfehlen. Geekvape Illusion Sub Ohm Tank now is my favorite tank!! works well and good flavor! !